Hello snow day! We got some snow and ice here in southern Indiana, and since the roads are slick and hazardous (and therefore shouldn't be traveled, especially in the country), the kids are off school! Which has put me behind schedule. 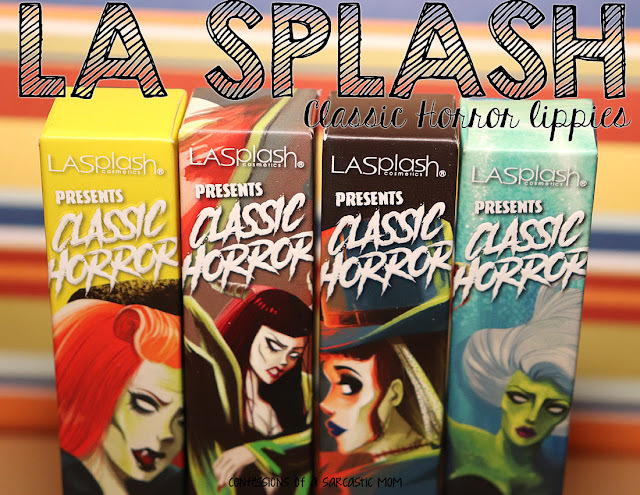 I'd planned to have this post up by now. 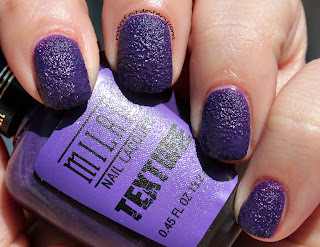 I bring you two more of the Milani Texture polishes - today we have Purple Streak and Aqua Splash. Purple Streak is a bright, bold purple with a touch of blue. I fell into the "too much polish" in some spots trap with this one. These nails are more than dry, but as you see, there are spot that just look like a puddle of polish with no texture. Those are spots I ended up with a little excess polish, too much layered there. These polishes are in stores now, limited edition, and are priced around $4.99. 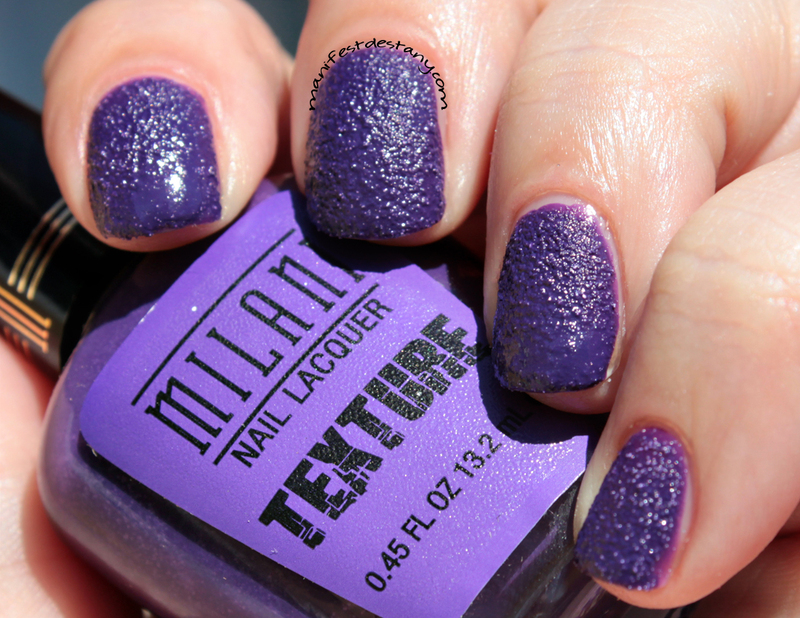 They are also available on Milani's website. Have you found them? Picked any up? What's your experience with them?